The Vanderbeekers live in an old three storey brownstone in Harlem, NY. Two weeks before Christmas they learn that their curmudgeonly landlord, The Beiderman (Mr Beiderman) won’t be renewing their lease and they will have to leave their beloved home. Not only will they have to move, they might have to leave New York. The five Vanderbeeker children have just 11 days to convince him to let them stay. 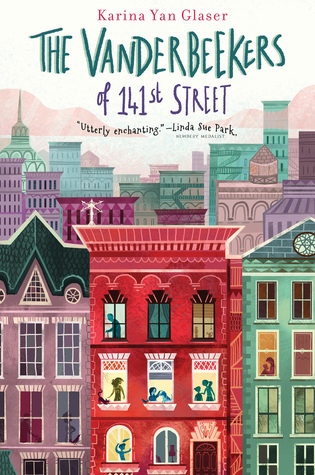 The Vanderbeekers of 141st Street is completely charming. It’s obviously written for young readers (10~13 years old) but I loved it and I’m not too far away from 50. Kids will love it, parents will love that their kids love it and it’s a great book for reluctant readers. There isn’t really anything bad I can say about the book. I’ll be buying a few copies for stocking stuffers.